Miami-Dade has been losing millions of dollars due to Illegal Homestead claims. The county now cracking down on offenders. If a family member passed away and left you their home, you decided to rent it out and maintain the Homestead exemption, STOP NOW. You may be responsible for a potential 10 years worth of taxes that were illegally kept from the county. The County has now outsourced some work to a company that is tracking down offenders. They get paid based on the offenders they discover. The Property Tax Appeal Group, LLC recommend you remove the improper Homestead Exemption, and correct this matter before you get caught. They are hunting for offenders. Keep in mind, for each person that files an illegal Homestead, it is just that much more all Citizens have to pay to make up the difference. The County has now outsourced some work to a company that is tracking down offenders. They get paid based on the offenders they discover. The Property Tax Appeal Group, LLC recommend you remove the improper Homestead Exemption and correct this matter before you get caught. Incumbent Pedro J. Garcia and state Rep. Carlos Lopez-Cantera have waged a serious campaign for the little-known county property appraiser job. Do you believe Property Appraiser Pedro Garcia has done a good job in valuing Dade Counties properties, policing Homestead & other exemptions, and determining which sales are "qualified" sales? If you don't know, please educate yourself so you can property vote in the election. The above Miami Herald Link is is an excellent source that will tell you about the candidates. 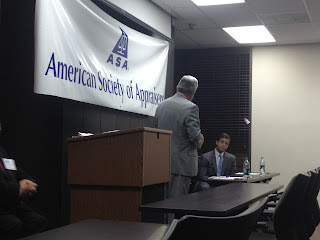 The Property Appraiser holds their office for 4 years and is a very important position. He (or possibly she in another election year) is in charge of a staff of 371 with an annual budget of more than $30 million. He is responsible for enforcing Property Tax exemptions and more. Please make it a point to educate your self on who you feel is the best candidate for Miami-Dade Property Appraiser. The 2012 Broward County Tax Roll has been approved. What does this mean? Now you can look at your assessment before the County send you your TRIM notice in the mail and see the value that County believes your property is worth. Please remember, you may look at your assessment and feel it is fair, but keep in mind your taxes could be $15,000 a year, but your neighbor with a similar property is only paying $10,000.